Independent agency Deepend today reports a 46% growth in revenue since implementing the agency’s flexible four-day working week agreement for all staff back on July 1 2018. 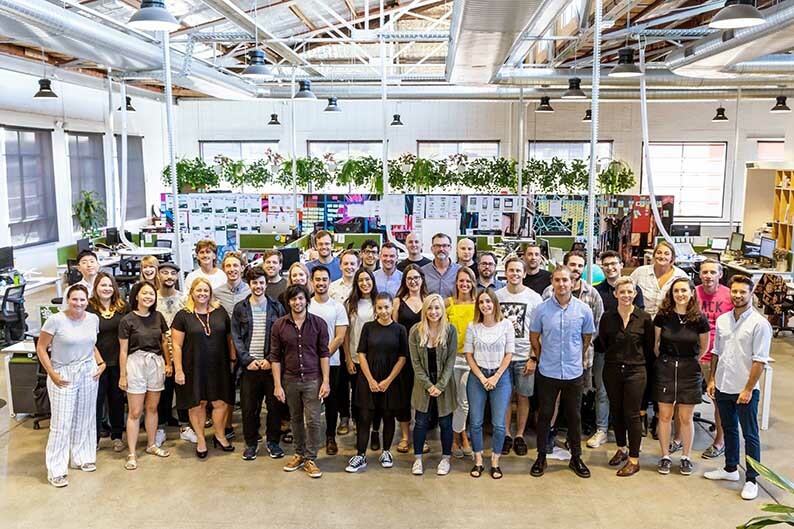 As the first Australian agency to offer a four-day working week, Deepend was also awarded Employer of the Year at last week’s AdNews Agency of the Year Awards. In a wider industry environment that is shifting towards greater emphasis on employee flexibility and remote working, Deepend has long understood and championed the philosophy that staff satisfaction is key to driving productivity. The four-day week at Deepend is simple. The office is closed every Wednesday so there are no client or internal meetings on that day. Staff can choose to either work longer days on other days and have Wednesday completely off or work from home on a Wednesday and fit the day around what else they have on. This is a milestone in Deepend’s ongoing commitment to flexibility. The working model that Deepend has implemented allows staff to choose a schedule that is suitable to their own lives, while maintaining direct and effective client relationships. The strategic implications of the change hold huge potential. Recent studies in New Zealand and the US suggest productivity actually increases when staff are granted the freedom to be flexible. Employees feel more empowered, engaged and stimulated at work. Freedom and trust contribute to pride in the agency, and to a generally healthier agency culture. There are clearly wider benefits to agile working patterns for society, and it’s an international trend that is rapidly growing. A four-day week means twenty percent of commuter traffic is removed, placing less demand on transport infrastructure and reducing pollution. The flexibility can also help address the gender pay gap, since many working parents already make compromises on salary versus time. Well, it’s not really a 4 day week is it? It’s a 5 day week, spread over 4 days, if you choose. Whether it be a four-day working week or just flexibility in determining your working hours, the point is staff want to have some control over how they work. This is much more important than telling someone they have four days to get five days of work completed. The linking of this policy change to revenue growth, commuter traffic, the gender pay gap, and pollution reduction is cute. Throw me in the Deepend! More agencies need to be better at being flexible. Good on Deepend for trying to do something different and for sharing the results. This is one of the ways agencies can do it – now let’s see more. I’m looking at the bigger guys… M&C, DDB, Clems – let’s see what you’ve got. I’m working a four day week, with a three day weekend. Couldn’t be happier or more energised for the week. Makes a massive difference. Isn’t nice to see a business do something that works for clients and staff. Of course it means that there will be fewer ‘sickies’ and ‘mhd’s’. Good on you Deepend. Culture is everything. Love from Spain. DPL. I love this! Well done Deepend. I think this is the start of something great. Odd to see this news story come out, when you’ve got Jack Ma defending his 12 hours day, 6 days a week stance!